home entertainment partner. This player has the following functionality. Note: All the information contained in this manual was correct at the time of publication. The actual contents in the package might be different from the packing list in this manual. use this player, please read the following before usage. The player?s power voltage: DC 12V. the adapter or cable?s wire or connector. conditions, your player might get interference. endanger yourself or your data. regulate disposal of electrical device, please consult with your local authority. for latest information before formatting the hard disk. HDD format etc. Please backup your data. 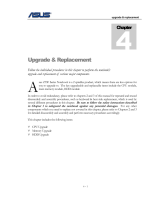 - It is suggested to do defragment after a long period of usage. corruption or loss. Our company takes no responsibility for loss of data stored on the hard disk. if water is accidentally spilled on the player, please use a dry cloth to absorb the spillage. do not press the buttons too hard. Do not let the player come into contact with water or other liquid. damage done will not be included in the repair policy. Do not press the buttons of the player too hard. performance next time it is powered on. (2) Follow the picture and plug in the AC adaptor to the power outlet. (3) Plug in the rectangular connector of the USB cable to computer. In this way, you can manage content on the built-in HDD of the player on your local PC. (2) Plug in the USB stick or USB HDD etc. to the USB HOST port of this player. In this way, you can browse contents on the USB device. (2) Insert the card by following the arrow pointer in the picture. In this way, you can browse contents on the memory card. 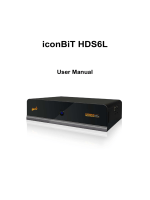 In this way, you can record TV programs from the TV/IPTV Set-Top Box. (2) Follow the picture and plug in the 3 color connector to the TV?s A/V IN jack. In this way, you can enjoy the content in the player on TV or other display devices. (2) Follow the picture and plug in the 3 color connector to the TV?s Y/Pb/Pr jack. Second method: use the audio output from the S/PDIF Coaxial or Optical jack. In this way, you can also enjoy videos, music, and photos in the player on TV. (2) Follow the picture and plug the other connector on your HDMI cable to the TV?s HDMI jack. Note: The HDMI cable is an optional accessory sold separately. In this way, you can have the highest quality video and audio via a single cable. the digital audio device (digital amplifier or decoder). Note: Optical fiber and coaxial cable are not supplied. soon enter the home screen, and the power indicator will turn blue. power indicator will turn red. Then unplug the power cord to cut off the power supply. language you wish in the setup menu, the selected language will take effect immediately. procedures to format the hard disk on the player before usage. Step 1: Select OK on the Warning page, press ENTER to confirm. Note: This page can be also accessed via Setup->System->HDD Format menu. Step 2: Press the up / down button to adjust the capacity of time shift buffer. Press the left / right button to select Next, and the enter button to confirm. Step 3: Select Format, press ENTER, and then hard disk format will start. disk properly on the player. backup your data in advance! All procedures in this manual can be carried out using the remote control buttons. Press to enter standby mode or wake up. Press to enter the browser menu. Press to enter numeric input when changing settings. Press to set repeat option: One, All, (and Shuffle). Press to begin/pause the playback. Press to enter the home screen. --Press to rename and delete files in the browser menu. NET of the browser menu. internal HDD as long as the space is available. Time shift mode remains active until you press the stop button. Press to zoom the image (photo or video). Press to select an audio track. Press to select the files in browser menu. Press to mute audio output, and press again to resume. MIN. / 60 MIN. / 90 MIN. / 120 MIN. / 180 MIN. / 240 MIN. / Off). Press to enter the file copy menu. Press to start playing music in the music playlist. Press to hide or display the information bar during playback. Press to decrease/increase the volume. Press to view the previous file / page up. Press to view the next file / page down. Press to return to the previous screen while navigating menus. Press to select options in menus. Press to enter the setup menu. Press to set the beginning and end points of a section to repeat. using Title, Chapter and Time. Press to set subtitle options. Reserved button. No function has been assigned to it yet. The Setup menu allows you to personalize and configure the preferences for your player. Use the LEFT/RIGHT navigational buttons to select an option, and then press ENTER. There are seven Setup options, including Audio, Video, REC, Network, System, and MISC. RETURN to cancel and display the previous menu screen. Use this menu to configure audio settings. will be decreased to make you more comfortable. 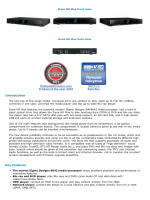 Dolby Digital, DTS, or MPEG sound can be bypassed to the HDMI TV or Digital amplifier. Use this menu to configure video settings. portions. Select when a standard 4:3 TV is connected. screen. Select when a standard 4:3 TV is connected. Adjust the level of brightness. Adjust the level of contrast. Adjust the level of hue. Adjust the level of saturation. 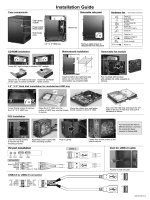 60HZ / 1080I 50HZ / 1080I 60HZ / 1080P 50HZ / 1080P 60HZ. Select to set the default recording quality setting. sequentially but also require less storage space. Select to set Time Shift mode. the time shift will start automatically while in Video In mode. Select to set device to restore the recorded files. Press the up / down button to select from HDD and USB. Press the enter button to confirm. Use this menu to configure Ethernet and WLAN (Wireless Local Area Network) settings. Select to obtain IP address automatically. next step, press RETURN to cancel, and press PLAY to connect. next step, and press RETURN to cancel. network. NONE means it is an open system network. character, -> to insert a space, shift to make more symbols available, and OK to confirm. Press ENTER to go to next step, press RETURN to cancel, and press PLAY to connect. Use this menu to configure system settings. Select to choose the OSD (On-Screen Display) language. Select to set the text encoding option (subtitle display). Select to turn on / off password protect for the Web server (Neighbor Web). Select to turn on / off BitTorrent download service and NAS function. Select system upgrade to update the firmware via a USB stick. 2) Press ENTER to confirm. Select to set the system time. Press the left / right button to select each field and the up / down button to adjust each setting. Numeric buttons are available here. Press the enter button to confirm. Select to format the built-in HDD. Note: Please take care that all data on the hard disk will be removed after formatting. Select to restore factory defaults. Use this menu to adjust miscellaneous settings. Select to set the interval time for photo slide show. Select to set the transition effect for photo slide show. Select to set the background music options while view pictures: Off / Folder / Playlist. Select to turn on / off screen saver. Select to turn on / off movie preview in the browser menu. Select to turn on / off resume playback (auto-bookmarking) feature for movies. panel of the unit, or have the time shift function. Select the A/V In icon on the main interface to enter this menu. Press the left / right button on the remote control to select the Edit tab from the menu bar. down button to adjust each setting. Select the video source for the recording. Enter the date and time of the recording. Once, Everyday, Mon-Fri, Mon-Sat or for an individual day of the week. Select the recording quality. Choose from HQ, SLP, EP, LP and SP. setting screen appears. Modify the schedule as described in ? Create a New Schedule?. Press the left / right button on the remote control to select the Delete tab from the menu bar. Press the left / right button on the remote control to select the Status tab from the menu bar. The schedule list is displayed. Select a schedule and press the enter button. Press the left / right button on the remote control to select the History tab from the menu bar. Here you can view a complete history of all recordings that were set. Browser icon on the home screen, or press the BROWSER button on the remote control. The following buttons can be used while navigating the browser menu. Move cursor up / down to select devices, folders, or files. Select filter options: All, Music, Photos, and Movies. Enter or confirm the selected item. Select files under Browser -> HDD menu. Add the selected files to the playlist. In this mode, all folders and supported contents (music, photos, and movies) will be displayed. 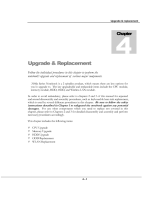 Please refer to chapter ?7.1 Specifications?for more about the supported content formats. In this mode, all folders and supported audio files in current directory will be displayed. The following buttons can be used to control music playback. Fast rewind or fast forward. Press repeatedly to select the speed. Set repeat options: One, All, (and Shuffle). Hide or display the information bar during playback. In this mode, all folders and supported image files in current directory will be displayed. The following buttons can be used to control photo playback. In this mode, all folders and supported video files in current directory will be displayed. The following buttons can be used to control video playback. Play video in slow motion. Press repeatedly to select the speed. View the previous or next movie. Set repeat options: One, All, Off. Set the beginning and end points of a section to repeat. Change the view angle during DVD (with multi-angle) playback. Return to the root menu during DVD playback. size/color/offset of the subtitle here. to ?3.4 Changing Network Settings? for details about network settings. There are two ways to locate media files shared on your local network in the Network menu. One is to browse through workgroup; the other way is to browse through ?My_Shortcuts?. media files that you want to browse. shown in the list. And then you need to use ?My_Shortcuts? to browse shared files. You can also set ?Specific File Server IP? and access it from ?My_Shortcuts? in the menu. Press the MENU button and a popup menu appears. Cancel to cancel, and Simple / Detail to switch between simple and advanced options. select and play the shared media files on the destination computer. Windows Media Player 11 on Microsoft Windows XP SP2 for an example. Windows Media Player library from anywhere in your home. add or remove media files from the library. library. Click Allow to authorize your player. Connect your player to the home network (LAN or WLAN). Visit Browser - > UPnP menu on the player, select the UPnP-server, and press ENTER. Then you can browse the media library shared by Windows Media Player 11. Make sure your player and your computer are on the same local area network and subnet. ports manually and add your player to the ?trusted? list, or disable the firewall temporarily. menu where you can rename and delete files or folders. local HDD to the playlists (All, Music, Photos, and Movies), and enjoy them at any time. shown. Multiple selections are allowed. See photo below. button to confirm. Then you will enter the playlist. Library icon on the home screen. Use the left / right button on the remote control to select the Music tab. Select to search for music files by their names. desired will be displayed on the screen. Select to list all the music files in the library. Select to search for music files by artist. Select to search for music files by genre. Select to search for music files by album. browsing music files in the library. Use the left / right button on the remote control to select the Photos tab. Select to search for photos by their names. Select to list all the photos in the library. Select to search for photos by date. previewing photos in the library. Use the left / right button on the remote control to select the Movies tab. Select to search for movies by their names. Select to list all the movies in the library. Select to search for movies by actor. Select to search for movies by genre. Select to search for movies by year. previewing movies in the library. rules to name the movies stored on the internal HDD. Devices (Card, USB), HDD, and Network. The following buttons can be used under the file copy menu. Please refer to the following operations to copy / move folders / files between devices. Step 1: Select the source device and destination device. Step 2: Select the source files you want to copy. Step 3: Select the destination folder to store the above files. Step 4: Select Copy or Move to proceed. icon on the main interface to enter this menu. The following buttons can be used under this menu. Move cursor up / down to select station, channel, and genre. Confirm and enter the selected menu. Add / delete a station to / from Favorite while it is highlighted. Begin playback after a channel has been selected. All downloaded stations will be listed under this menu. You can search for stations by genre (pop, rock, jazz, etc.) under this menu. Your favorite stations can be kept under this menu. enter into download menu and BT setup menu. After add the BT torrent files, the download progress can be displayed in this menu. Move cursor up / down. Press to pause the download. Press to stop the download. Set the maximum download rate. Set the maximum upload rate. Set the idle hours to start the next download automatically. Set to delete the finished torrent files automatically or not. Set the maximum number of simultaneous download tasks. (Internet Multimedia Service) icon on the main interface to enter this menu. Added, Recently Featured, Top Favorites, etc. You can view photos directly that stored on your own or your friend?s Picasa account. You can read newest news directly from different websites(CNN News, BBC news, etc.). In title list, press RIGHT button to view news in a full screen. You also can add RSS (Really Simple Syndication) URL to the list. You can view photos from http://www.flickr.com/. press ENTER/STOP button to start/stop playback. It will take several seconds to get data from the Internet, please be patient to wait. retrieve large amounts of data more affordably than ever before. please type: \\192.168.0.9), and click OK or press the Enter button on the keyboard. Enter button on the keyboard. you can also playback and copy files via network between your PC and the player. 1. Please turn on the BitTorrent and SAMBA in the setup menu before using this function. bring new features, improvements and bug fixes. USB HOST port of the player. (2) Press and hold the power / standby button on the front panel, and do not loosen. Update and Extension Info in chapter ?3.6 Changing System Settings? for more details. Note: The specifications and design of this product are subject to change without notice. ?Generic volume? cannot be stopped right now. Try stopping the device again later.? message, what should I do? Close any program that might be accessing data on the player, including Windows? Explorer. finder.def or System volume info. These are normal and will not do any harm to the player. computers. Will defragmenting the player hard disk do any harm to it? connected the player with the external power adapter during this procedure. Question 4. My files have disappeared from the player. filtered views such as Photos, Music, or Movies. TV?s will treat this as no signal, and will display a blue screen or screensaver. TV screen display an unwatchable picture? on the remote control, then switch the TV?s video input to NTSC or PAL. output, please plug the A/V OUT or the S/PDIF jack to output sound. Question 8. I cannot get SSID name, the screen always displays: ?Can?t get any SSID!!? When the WLAN USB Adapter is connected to the player, it needs some time to get initialized. Please wait for about 1~2 minutes and try refreshing the SSID list again. Question 9. I cannot see files shared on my computer via Browser->Network menu. ?Everyone? or ?Guest? has the right to access. or UPnP function to work. firewall long enough to use the player, then enable it again when done. the speed is still 802.11g 54Mbps rather than 300Mbps? configure an unsecured profile, but this option is not recommended. Question 12. Where can I find .torrent files for BitTorrent download? their usage, which might cause copyright infringements and violate the local laws. (4) Click the ?OK? icon. Question14. Why couldn?t the player find the hard disc? deleted. If hard disc failure occurs, please backup your data and reinstall the firmware. to the default (Refer to 3.6 for changing system settings). may not be illegally copied or used without permission from the copyright owner. -Acts of nature, such as fire, static discharge. -Damage from unauthorized repair, alteration or accident. -Damage from misuse or neglect. -Loss of customer?s software, firmware, information, or memory data. This product contains free software which is licensed under the GNU General Public License. GPL/LGPL software that is used in this product. and there is also no technical support for the source code from us.